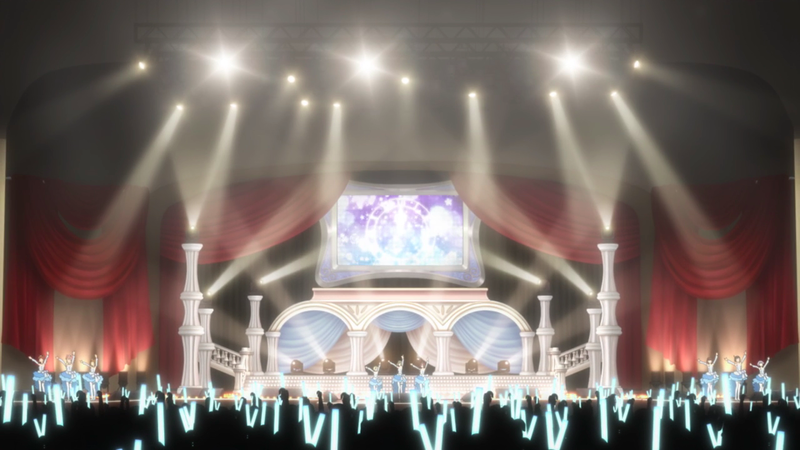 A minute into the pre-premiere episode of The Idolm@ster: SideM, I wondered why the venue pictured was so small. The three-man group of Jupiter is a well-known Idolm@ster commodity, after all. Presumably, they’re not even the stars of the SideM anime. Instead, Jupiter are the end goal at the proverbial finish line for SideM‘s burgeoning trainees. 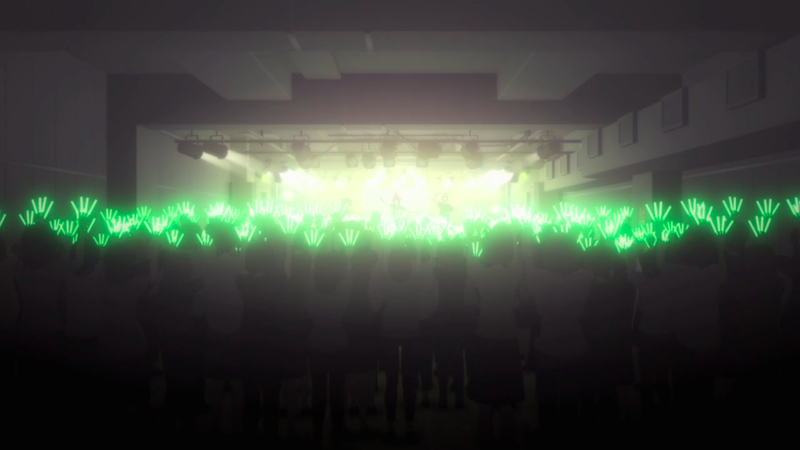 These young men should be filling arenas like 765 Productions do later in this episode — or at least larger concert venues like the one in The Idolm@ster Cinderella Girls‘ “Onegai Cinderella” performance — not performing in a hole-in-the-wall place that looks to be slightly larger than the average bar. Another minute later, I quickly realized that the venue’s comparatively small size was the point of the entire opening. The much-maligned — rightfully so, given their general lack of creativity — anime beach episode is a strong turning point in The Idolm@ster anime adaptation, part fanservice, part dig at the girls’ lack of success. 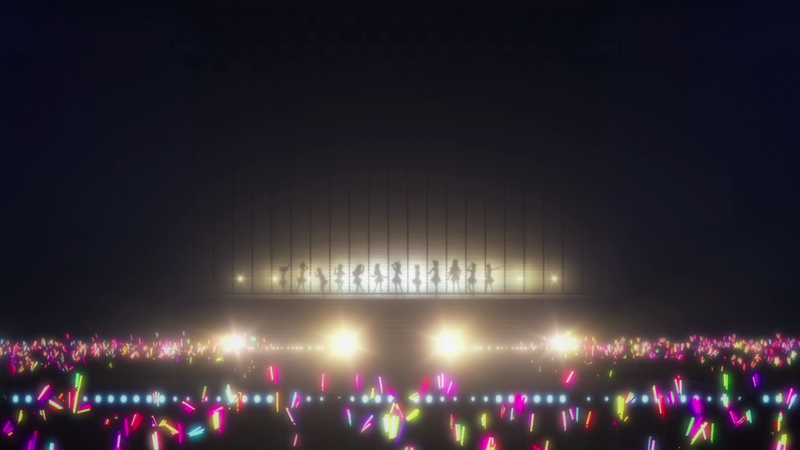 Tongue firmly in cheek, the series is fully confident that its target audience knows that the many idols of 795 Production will find stardom eventually. In the meantime, it’s time for them to enjoy all that summer has to offer while they can. With their air conditioner broken amidst sweltering heat, and little to no idol work, the would-be idols of 765 Production head to the beach. It’s a convenient excuse to have a beach episode that cleverly points to the production company’s current woes. None of their idols are successful, which gives them the time to take a vacation. A few of the girls remark on this throughout the episode, lamenting that they don’t have jobs, or urging their producer to find them steady work. 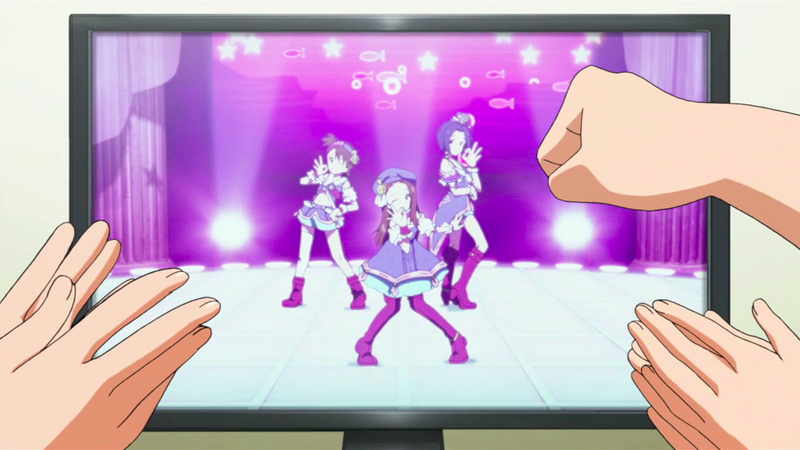 At the end of the episode, idol-turned-producer Ritsuko Akizuki’s proposed subunit of Ryuuguu Komachi — Azusa Miura, Iori Minase, and Ami Futami — is announced. The arrival of Ryuuguu Komachi changes everything. There are certain accepted truths in respective fandoms that one simply does not challenge, lest they draw the ire of nearly every other fan. In 2011, The Idolm@ster was brought to the small screen – sorry, 2007 Xenoglossia, it just wasn’t your time – creating an entirely new subset of Idolm@ster fans who were introduced to the franchise through the anime, rather than the game. This naturally gave rise to a battleground upon which favorites were declared, championed, and to this day are consistently fought for in a never-ending “best girl” war. 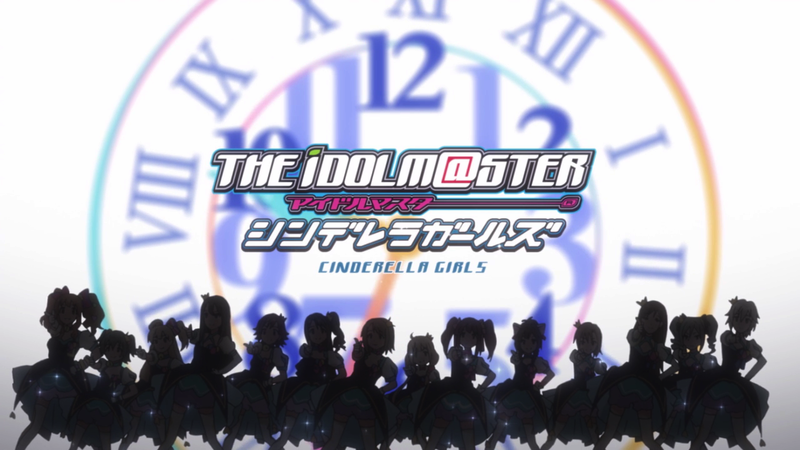 Naturally, this didn’t end with The Idolm@ster. For the franchise as a whole, the anime Idolm@ster cast is only the beginning – and had already expanded the game cast beyond the original ten girls to include the 961/Project Fairy idols – and delving into the games or fandom around that time led to the girls of 346 Productions, or the Cinderella Girls. 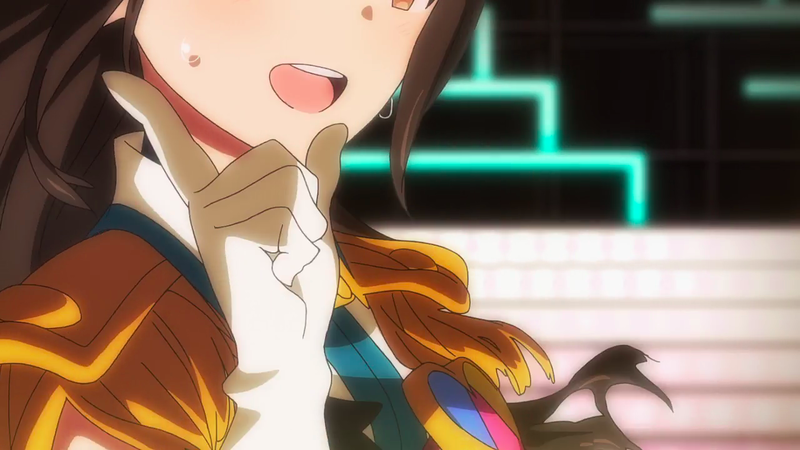 When the 2015 Cinderella Girls anime aired, it was met with inevitable dismay and found lacking to the 2011 anime. Many dropped the series after the first few episodes, as these new girls couldn’t compete with their tried and true favorites. It is commonly accepted that Cinderella Girls is inferior to The Idolm@ster, a statement that I wholeheartedly disagree with. A viewer who sticks with Cinderella Girls to the end is rewarded far beyond any emotional gratification that the 2011 anime provides. I may never come down again. But come down to Earth we shall. After all, how well can you possibly know someone after only ten minutes? 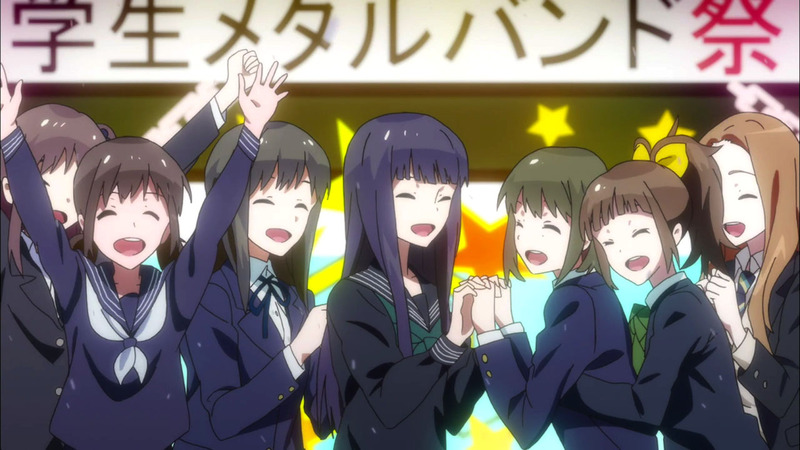 A Group of Their Own: Wake Up, Girls! Considering the three options above, Airi Hayashida is most successful in making those around her happy. She is the least naturally-talented, admitting in her audition paperwork that she has never sung nor danced before, and wants to become an idol to improve her confidence. Airi is two red hair ribbons away from being Haruka Amami (The Idolm@ster) with Wake Up, Girls! treating her inner demons with genuine care. We knew that Airi would not quit, and that the group would somehow find a way to both keep her as a member and stay together under Tasuku Hayasaka’s tutelage; however, the nuance with which Wake Up, Girls! presents her situation allows the series to shine above its other idol brethren.